The Building Commissioning Association (BCA) and its annual conference, the National Conference on Building Commissioning (NCBC), are where the commissioning profession comes together to share solutions that produce high performance all the way from the designer’s drawing board to the building operator’s automated dashboard. NCBC is recognized as North America’s oldest and most respected building commissioning conference. 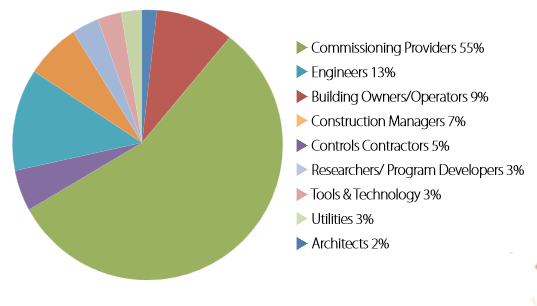 Together, BCA and NCBC lead the industry in technical, standards and market- focused education for commissioning professionals, owners, designers, constructors, building managers and program managers, and improving commercial building performance across North America. 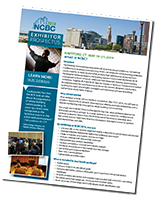 As an exhibitor at NCBC 2014 in Hartford, Connecticut, May 19-21, 2014, you will have an excellent opportunity to network, showcase your offering and build relationships with a diverse membership that is focused on whole building commissioning. This single-day Exhibitor Show is scheduled for Day One, when exhibition attendance, enthusiasm and focus are high. As a result, exhibitors can attend the conference and continue to develop relationships. We limit the size of the show so attendees don’t feel rushed, and you have more time for conversations that lead to brand recognition, new relationships, and sales. What is Included in Your Booth Package? The National Conference on Building Commissioning (NCBC) brings together experts from all aspects of the built environment for two days of education and networking. Why Partner with the BCA? To reserve your booth for NCBC 2014, please review the NCBC 2014 Exhibitor Floor Plan and download an application. Booth space is assigned on a first-come, first-served basis. To ensure the best booth space, view the exhibit hall floor plan and register now to reserve your spot. Exhibitors will be contacted in the order received to select their booth space and floor plan will be updated regularly with new exhibitors. Don’t miss the opportunity to secure the best booth in the exhibit hall. The Exhibitor Show includes meals/breaks in the exhibit hall and a networking reception.